As I read through the latest issue, I was reminded that some marvelous poets have been clergymen. 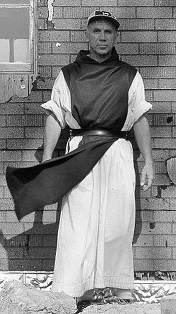 As an example, there’s the New Mexico poet-priest Fray Angelico Chavez. 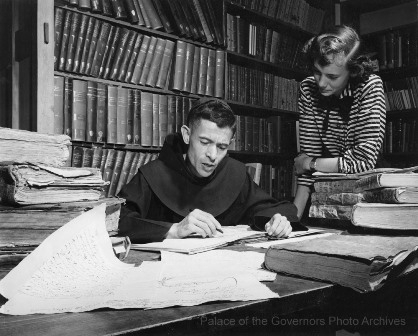 But Fray Angelico Chavez is just one on a long list of poet-clergyman. Among other notable clergy-poets are Thomas Aquinas (1225-1274), Philippe de Veitry (1291-1361), Guilaume de Machaut (1300-1377), John Donne (1572-1631), Robert Herrick (1591-1674), George Herbert (1593-1633), Jonathan Swift (1667-1745), Michael Wigglesworth (1631-1705), Gerard Manley Hopkins (1844-1899), William Everson (1912-1994), Thomas Merton (1915-1968), R.S Thomas (1913-2000), Daniel Berrigan (1920-2016), Paul Brendan Murray (b. 1947), and Kilian McDonnell —to name a few. And I just mentioned some of the prominent poets. We could easily go back to the early Irish and Latin poets, forming another long list . And these are just the clergy-poets. Dozens of poets who are also followers of Christ—and not clergy—are numerous, too many to list . The bottom line is that poets abound in the Christian faith. A simple question comes to mind: why so many great poets within the Christianity? One reason can be attributed to inspiration: being moved by new life found in Christ and the beautiful vision of the Christian worldview. Another reason could be the emphasis on the word. Jesus Himself was called the Word. And Christians look to the Word, the Bible, for influence, edification, and moral guidance. Words have always played an important role within the Judeo-Christian worldview. A third reason is that God is a poet, or at least the One who inspired poetry. One-third of the Old Testament and portions of the New Testament is written in poetry. Whole books such as the Psalms and Song of Solomon were written in verse, not to mention poetical nuances found in the teachings of Jesus and various prophets throughout the entire scope of Holy Writ. Words — poetry included — are an important means in God’s sphere of communication. 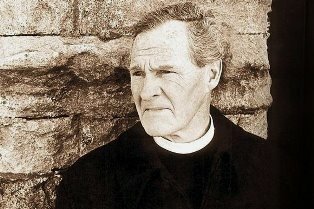 One final thought as to why poetry is important to the Christian faith: the Christian-informed Western world has elevated the role of the poet to sage, seer, and truth-teller; and Christians yearning to be seekers of the truth have gravitated toward poetry, following a path of truth and imagination leading to Christ. Whatever the reason, we within the Christian world can rejoice that so many Christians have taken up poetry: blessing us, inspiring us, and challenging us with words of beauty, goodness, and truth — even when the truth hurts, helping us in this journey of life with poems to ponder, study, and memorize. Photo captions: 1) The Penwood Review. 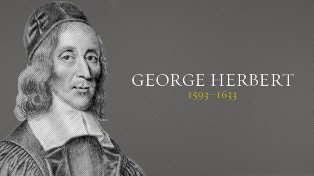 2) George Herbert. 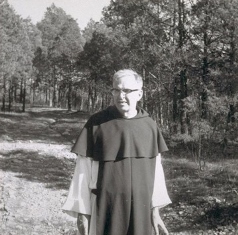 2) Thomas Merton. 3) William Everson. 4) RS Thomas. 5) Brian Nixon.